Should I wait to divorce until the kids are older and on their own? 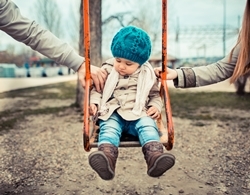 When two people decide their marriage isn’t working and want to divorce, their decision may be especially challenging and difficult if they have children. Many parents worry that a divorce will negatively impact their kids, and some wonder if it’s more prudent to wait until the children are older with, perhaps, better coping skills to handle the change. Others parents may wonder if they should make the break as soon as possible. Domestic violence and abusive situations. One of the most challenging home environments is one where there is violence or the threat of violence. If you face that situation in your home, you have a compelling reason to leave quickly and get your children away from the danger. The risk of mental trauma from a divorce is far outweighed by the mental and physical risks of abuse. Get out and get help. High-tension relationships. If your marriage has become a shouting match, and yelling has become your mode of conversation, it may be best to move ahead with a divorce. The stress and fear caused by living in a household that has devolved into this type of communication isn’t healthy for anyone, adult or child. How a divorce affects young children. Very young children thrive best with a lot of care and attention, both physically and emotionally. If you have little ones that haven’t reached school age yet, consider how being a single parent could take away quality time during these key formative years. You may lose income in the divorce, requiring you to work longer hours to support your new household; that can leave less time for the bonding rituals that you and your child have come to enjoy. How a divorce affects adolescents. The “tween” years can be rough on kids, even with the most stable family support structure. As the minds and bodies of children prepare for the transition away from childhood, this can be in a particularly vulnerable time in their lives. If your relationship with your spouse has cooled off but is still amicable, it may be worth thinking about waiting a little bit to see your child through this age of transition. Ultimately, you are the best judge of your situation, and no single article or source of advice is going to have the “right” answer for you. The right time for you to divorce is going to be when you feel that your home environment is no longer happy, healthy, or safe for you or your children to thrive and grow in. If you’re ready to divorce, having a support system to stand behind you can help. That may mean relying on the help of family, close friends, and excellent legal representation to get you through. At the Law Offices of Molly B. Kenny, we help people in tough divorce situations just like yours every day. When you’re ready to speak to a legal professional who can help you through every step of the divorce process, please call us to arrange a private consultation in our Bellevue offices at (425) 460-0550.